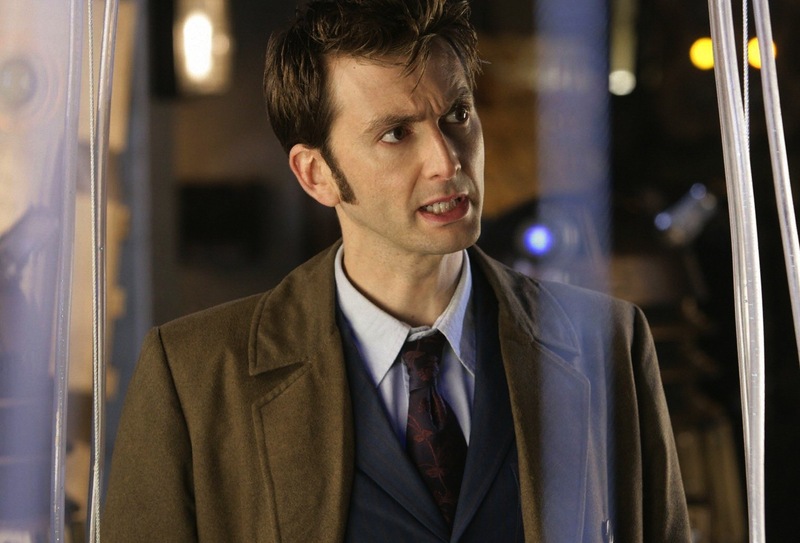 Today is the final day of The Twelve Regenerations Of Christmas over on the Eleventh Doctor Blog. As a big finish I posting something rather special. It’s just a picture, but its a good one! In early December I had an email out of the blue from Louise Page, who had stumbled upon my Tie Index. She found it very interesting, and wanted to share with me a gap in the information I had posted. This was how I discovered the label for Tie Nine (see left), so it came from a cast iron source. 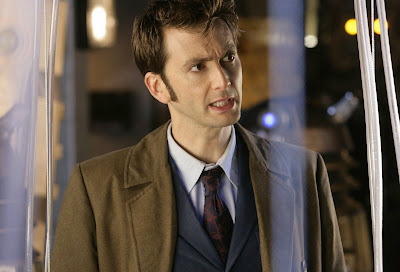 After exchanging couple of email she expressed an interest in meeting me and talking Tennant suits and coats! 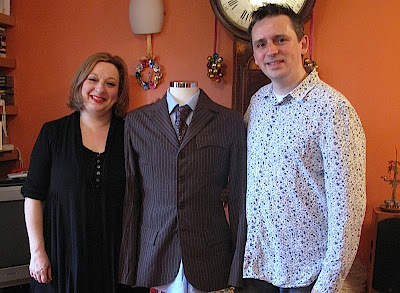 Her timing was perfect, since I currently have the Ultimate Tennant Suit back for some minor alteration, so I suggested she might like to view it. 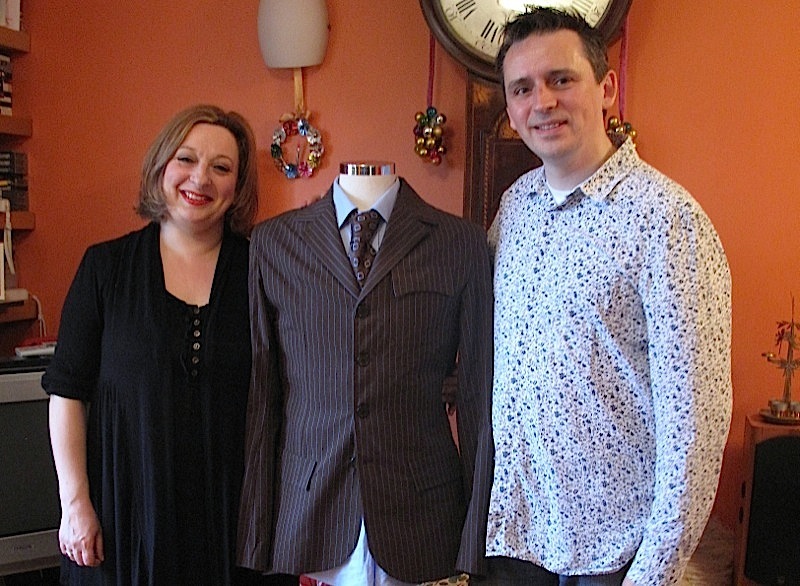 Just before Christmas she came to visit and we had the chance of a quick photo with the suit. Louise is so nice and was most impressed with my work, which was the best Christmas present I have ever had! 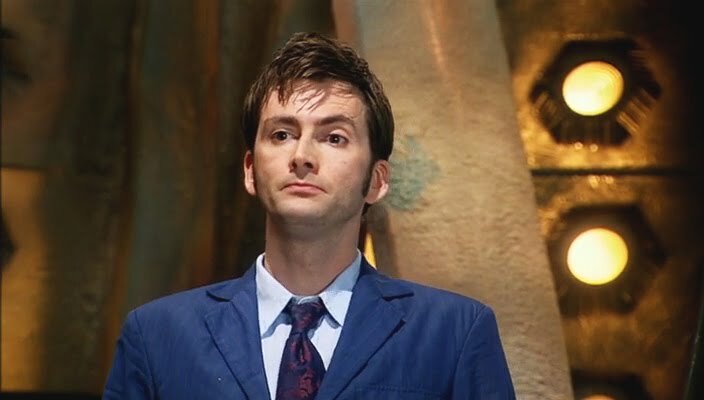 if you’re a big fan of the ties worn by the Tenth Doctor, you might want to take a quick look over at my Eleventh Doctor Blog. 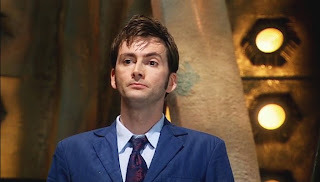 I’m running a series of postings under The Twelve Regenerations Of Christmas, and have been sharing a mixture of fun things you might have missed; stuff from my archive; and a few new revelations. Well today I have news of an update on my popular Tie Index, so do take a look . . . .